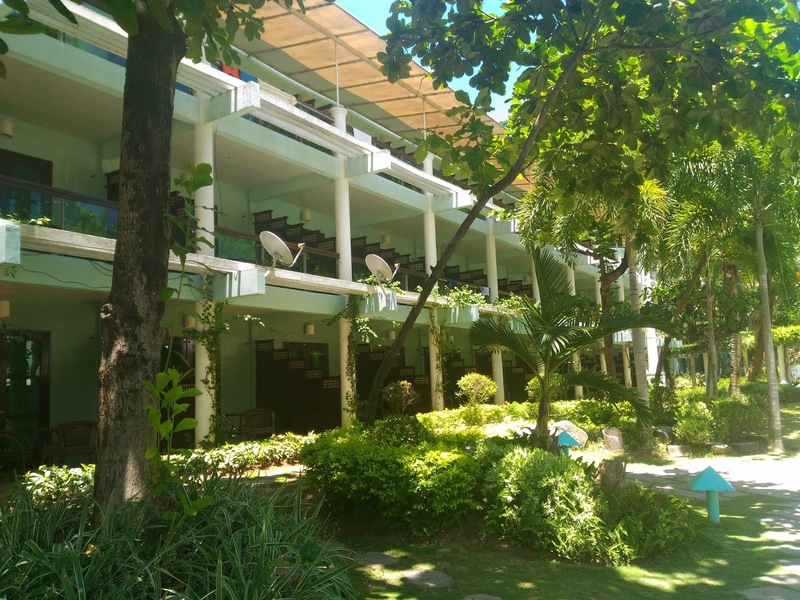 CAMAYAN BEACH RESORT AND HOTEL - A great place to stay when in SUBIC BAY! 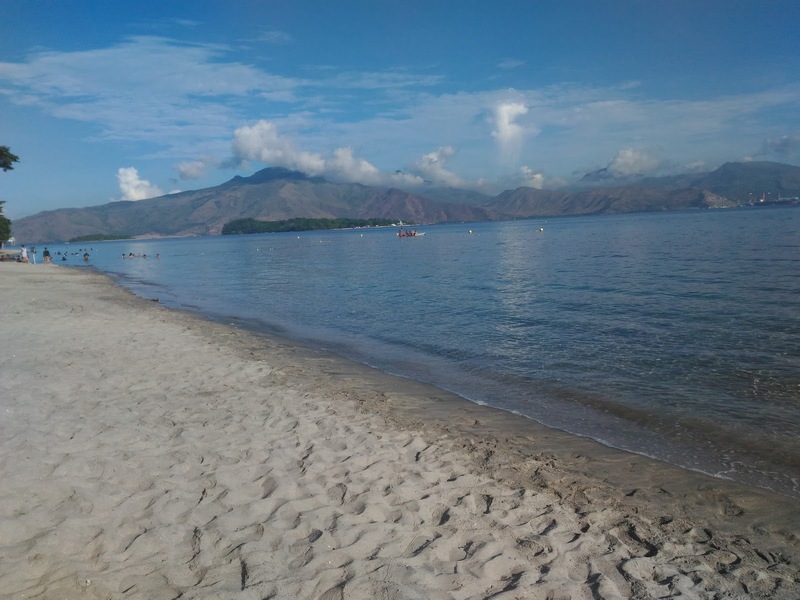 Home /CAMAYAN BEACH RESORT AND HOTEL – A great place to stay when in SUBIC BAY! 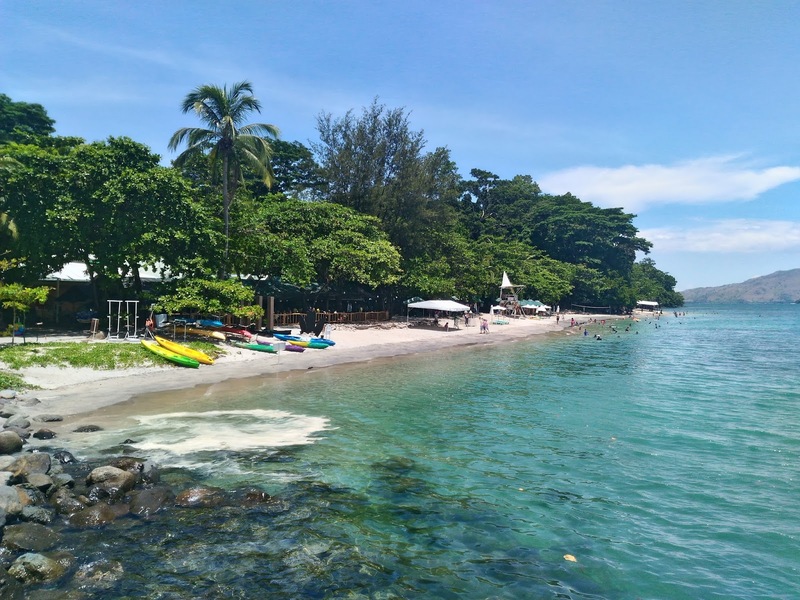 CAMAYAN BEACH RESORT AND HOTEL – A great place to stay when in SUBIC BAY! If given a chance to travel somewhere on weekends, I am one of them! 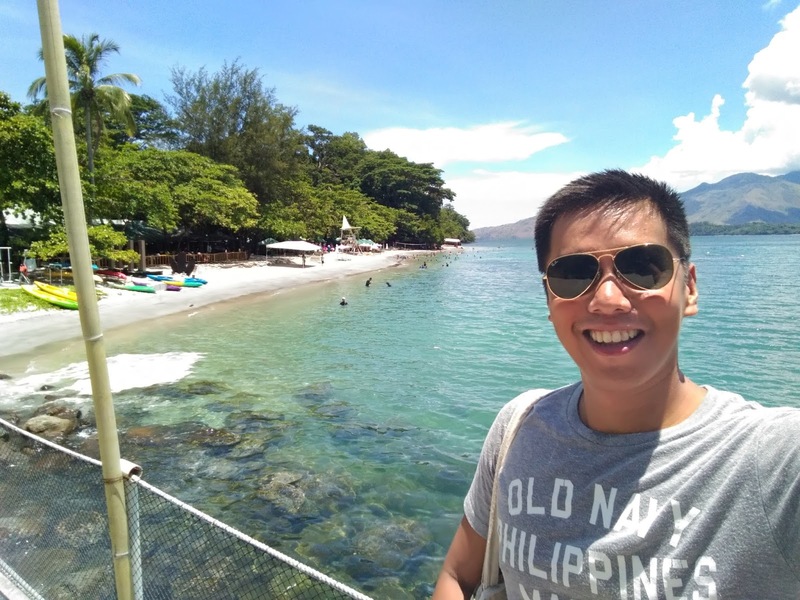 This is what happened when a friend of mine invited me by choice to drive his car on a weekend staycation to Camayan Beach Resort near Subic. This was also the longest drive I have undertaken for years so it was a mixture of excitement and caution when driving. 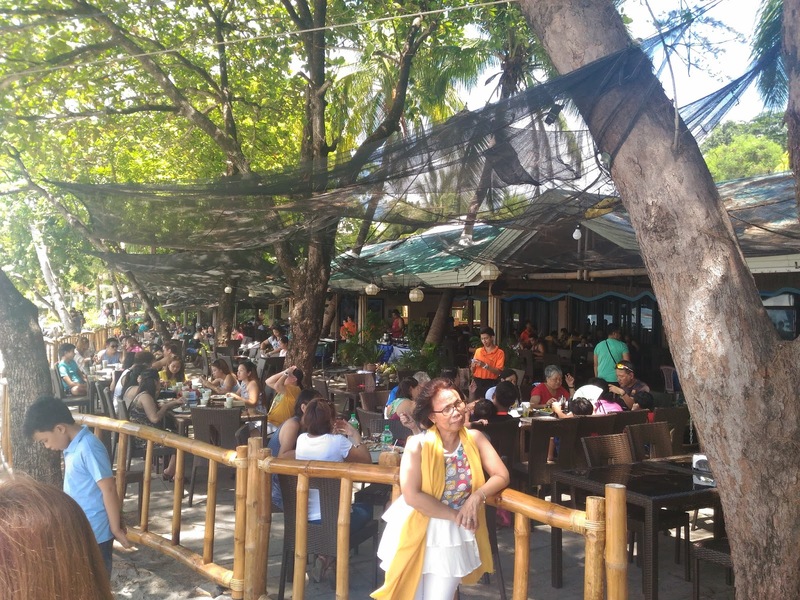 Located inside the Subic Freeport Zone, Camayan Beach Resort is found next to one of the most visited place in Subic which is the Ocean Adventure . 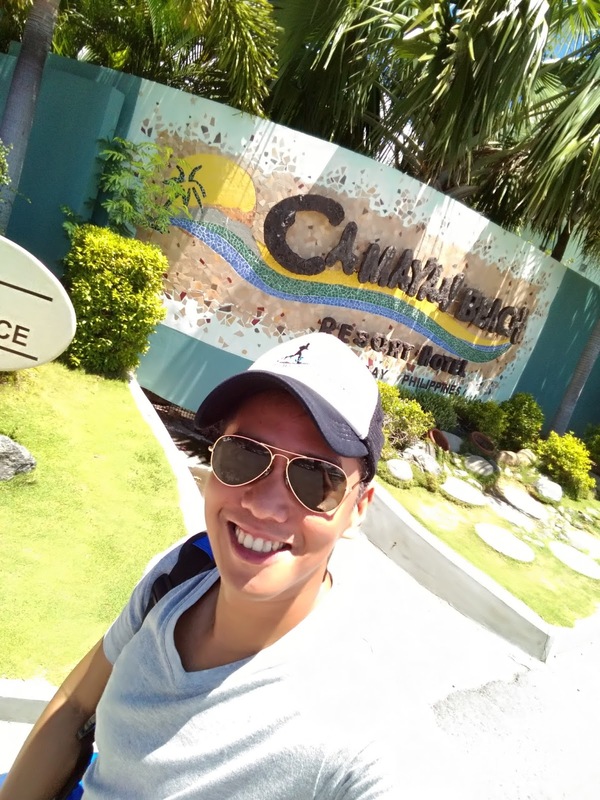 The entire trip took us around 5 hours from Manila to Camayan Beach Resort and Hotel. The NLEX was super busy on a weekend and accidents on the road contributed to the congestion. After we entered the SCTEX to Camayan, it was the best drive ever! Anyway, we arrived safely just before lunch time and the weather was perfect! 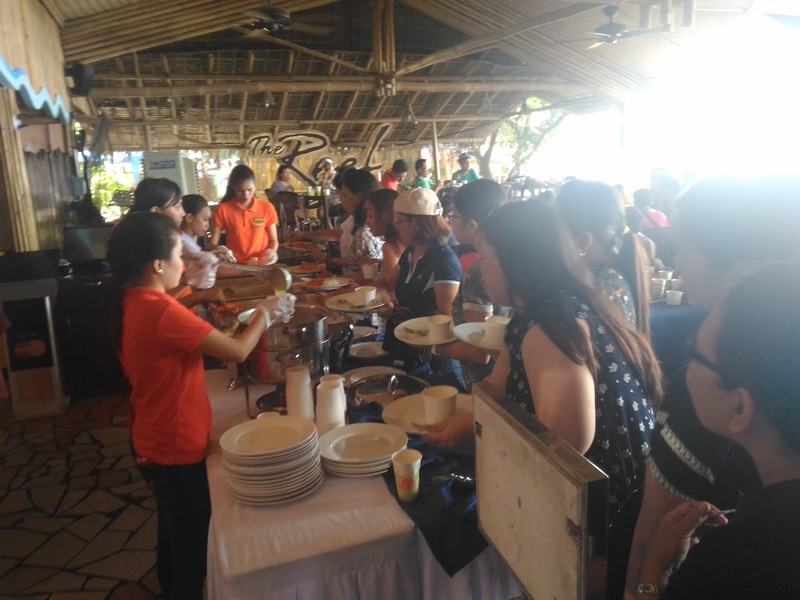 The place was so busy when we arrived as different team buildings and other activities were also taking place. 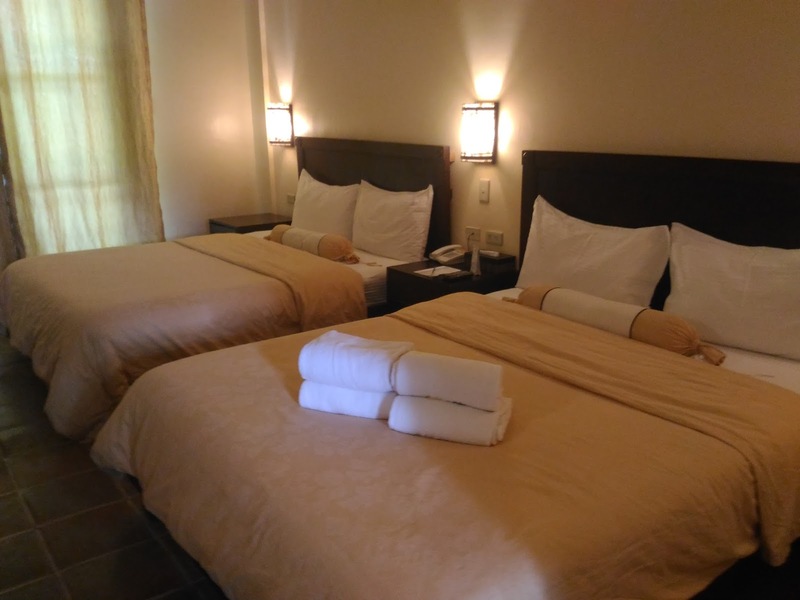 Camayan Resort has 85 rooms which can accommodate different number guests whether you are a couple, family or part of the big group. 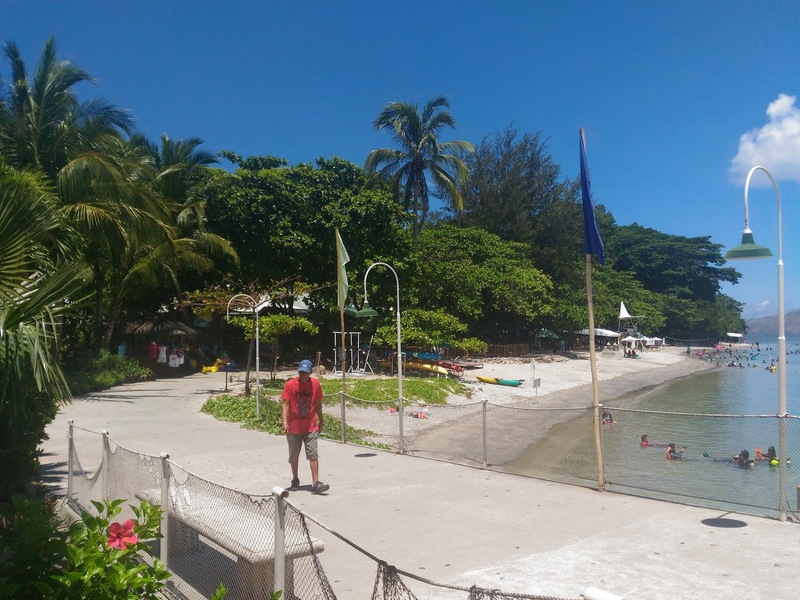 The resort also has huts and cottages for those who just want to spend a day on the beach. 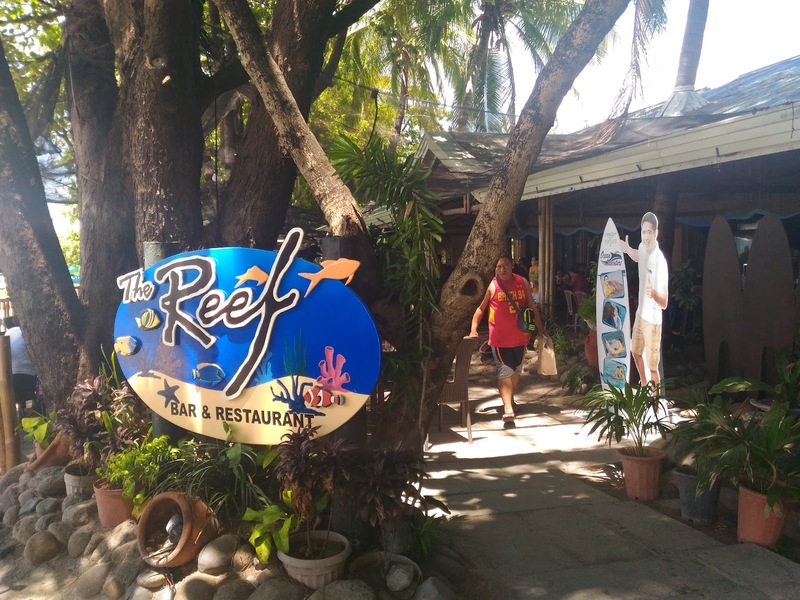 Since the check-in was at 2:00 pm, they called us for lunch first at the REEF BAR AND RESTAURANT. Just make sure you keep your stub with you as meals were included during our stay. The food was actually very nice and I enjoyed it a lot. From Lunch until breakfast the next day, it was really good! After lunch, we decided to walk around the resort since the check-in was much later. The first time, we were here, we were not lucky with the weather as it was raining the whole time. This time was different and I loved it! 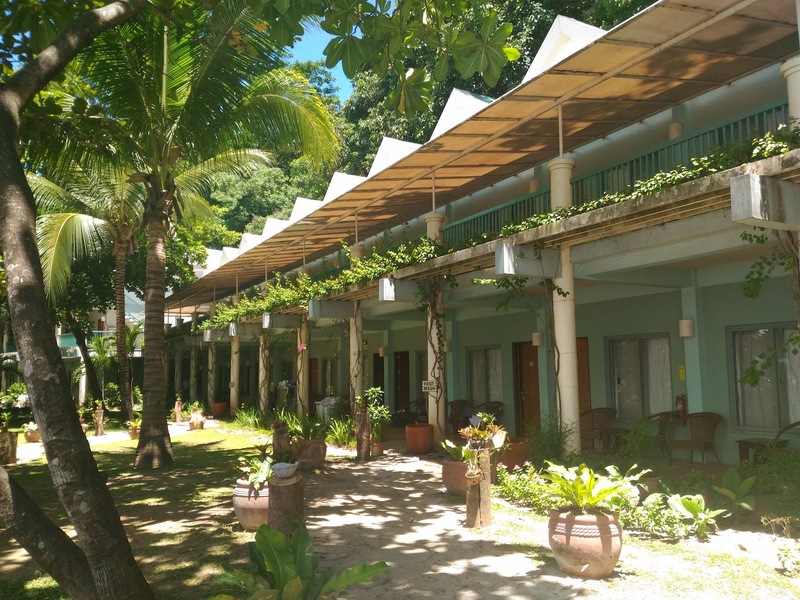 The resort was beautifully landscaped and it doesn’t feel very built-up as trees are giving shade and covering to the resort buildings. Walking around felt very relaxing! 2:00 pm arrived and time to check-in. Since we were 4 in the room, they gave us this very spacious room which pretty much had everything you need like TV, Free Wifi, fridge, water, and much more. Air conditioner works perfectly too! 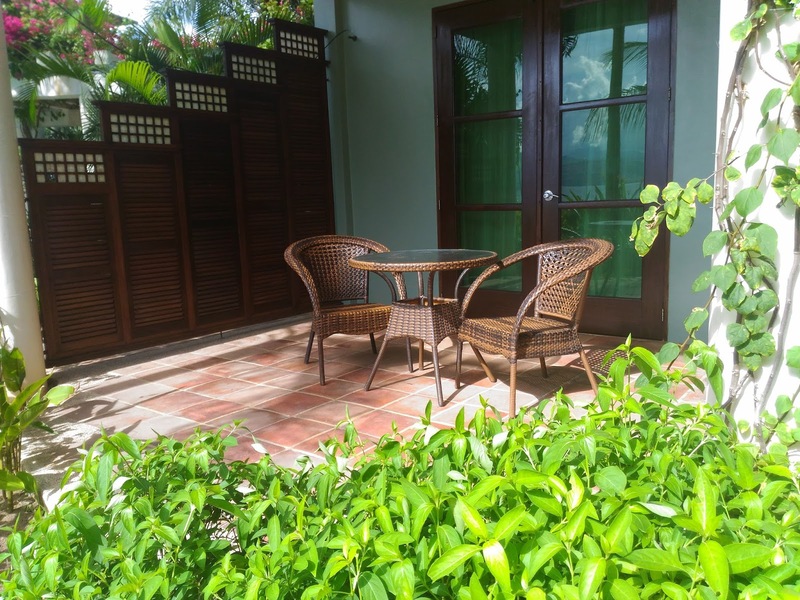 Compared to other rooms in the resort, ours had a veranda to relax and just enjoy your time with friends or love ones. In every resort, you need to have a bar. 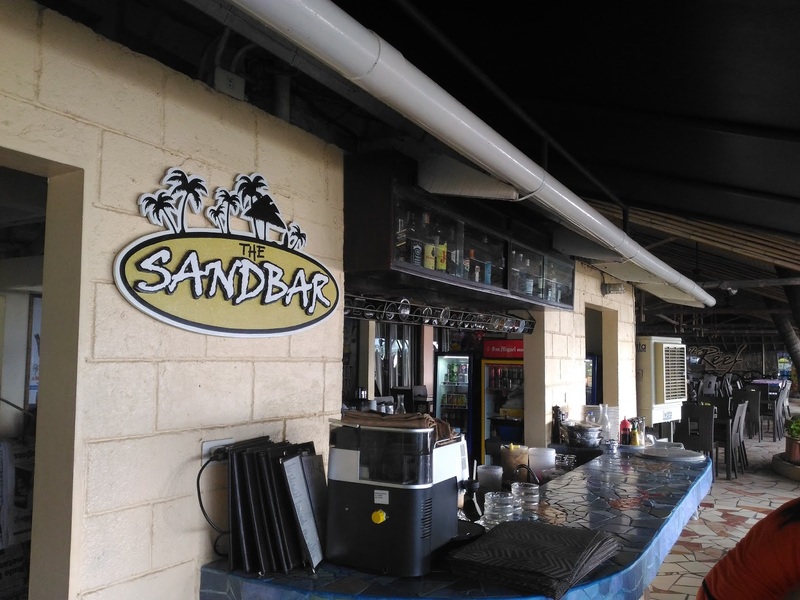 Next to Reef Bar is the Sand Bar that offers guests cocktails to die for! While they were having their own activities, I decided to go for a swim on the beach. They have a swimming and snorkeling area. 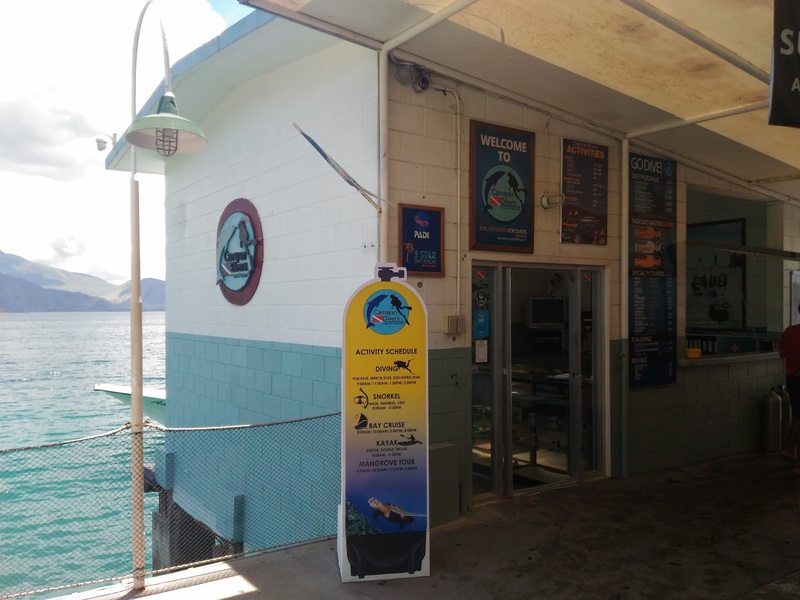 Make sure you have your masks and flippers with you otherwise, you can just rent one in their dive shop. 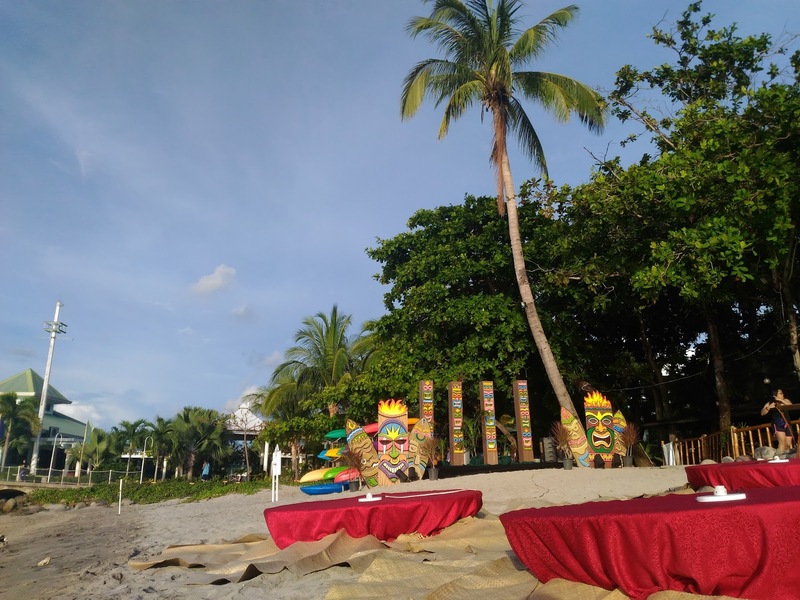 As we approached the evening, the resort set up mats and tables on the beach for guests. I found out later on that this is the place where we having our candle-lit dinner. It was beautiful! Don’t forget to catch the beautiful sunset! 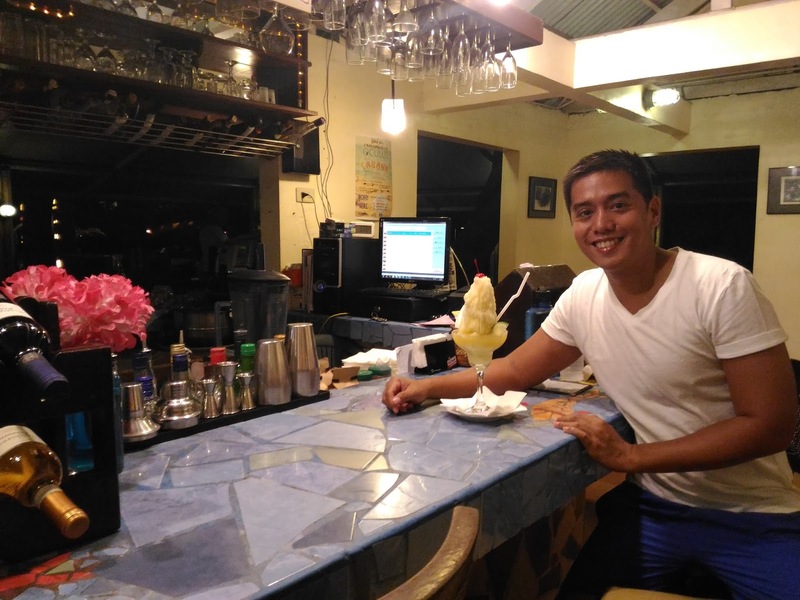 After the nice dinner, I went back to Sandbar and ordered a Frozen Margarita and when I saw it, I was like shocked! I thought I would just get an ordinary one but at Camayan, they went over the top! I super loved and enjoyed that drink! It was the best Margarita I’ve tasted and it was a challenge to finish! And when people saw me drinking it, more Margaritas were being ordered! The staff here were friendly too! They were amazing! The next day was a beautiful morning and what a better way to spend it was have a nice breakfast and swim! I tried swimming along the snorkeling area and found a variety of fish here too! 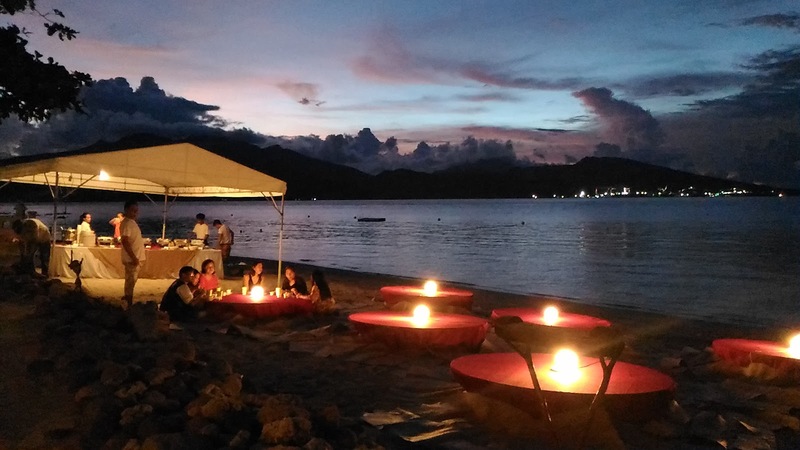 As we head back to Cavite, Camayan Beach Resort and Hotel will leave you with good memories and experience that you will want to repeat when visiting Subic! Till next time! Your post makes me wanna go to the beach! 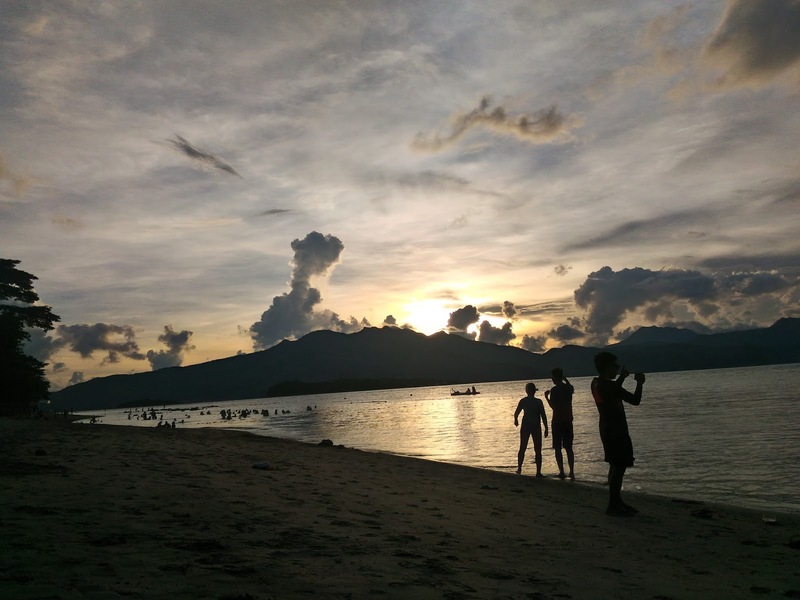 It's actually been months since Im looking forward to a beach getaway with friends.. Glad you liked your trip and I've heard that Camayan is indeed a good place to chill in Subic. Guess you should try Best Western Subic as well. They have this overlooking oasis pool on their roofdeck 😉 Though you'd enjoy there! God bless!